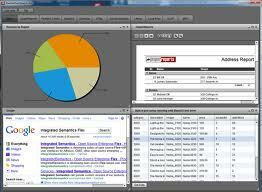 A dashboard is a short report that is prepared weekly to help you see at a glance how your business is doing. We've developed a mind map that shows you what a good dashboard is and what you need to include. The importance of understanding key performance indicators. Why it's important to share your dashboard with others. Why dashboards should be graphical. Why dashboards should show trends. To get your How to Develop a Dashboard Mind Map, please fill out the form on the right now.